If you’re looking for the ultimate air conditioning solution for a large commercial building or home, they don’t come better than VRF systems. Also known as VRV air conditioners, these split systems only require a single outdoor unit that connects to as many indoor units as you need, without the need for bulky and rigid ducts. installation. 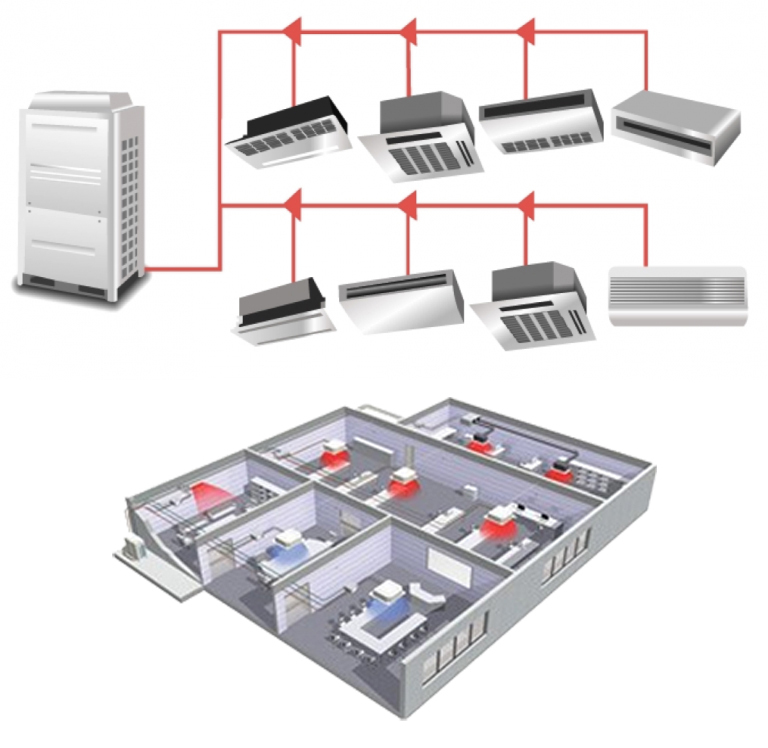 Individual zone controls give you total flexibility in setting your desired temperatures in multiple areas. Inverter technology makes VRF systems some of the most energy-efficient air conditioners on the market, helping to keep your energy costs as low as possible while enjoying comfortable temperatures all year round. Maxim Air designs, supplies, installs and services VRV & VRF air conditioning in all areas. Get in touch to arrange your obligation-free consultation with our highly experienced engineers today. What’s the difference between VRV and VRF air conditioning? The terms VRV and VRF both refer to the same HVAC technology. The difference is that VRV (variable refrigerant volume) was the original technology and is a registered trademark of Daikin Industries. All other manufacturers use the term VRF (variable refrigerant flow). What is a VRV system? Daikin VRV air conditioning was first launched in 1982 and is still produced today. It was the first HVAC system to use variable refrigerant flow controls, offering more precise control over temperatures than standard cooling systems. 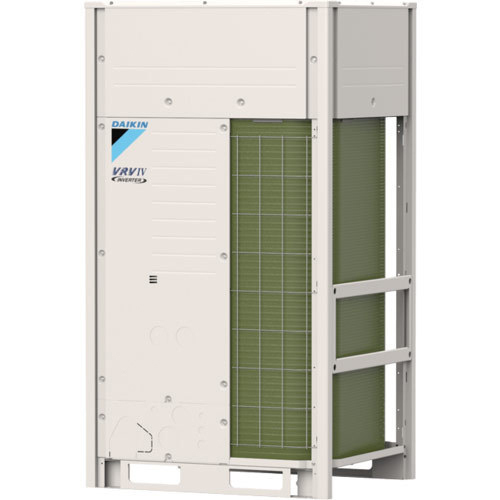 Daikin VRV systems are especially popular in medium to large commercial buildings or other large properties that require a flexible and efficient cooling solution. All variable refrigerant systems not produced by Daikin are known as VRF air conditioners, which is the vast majority of systems. These work on the same principles as VRV, but there’s a much wider range of options to choose from across different brands and models. VRF systems use refrigerant for cooling rather than water, with DC inverters controlling motor speeds and refrigerant flow to minimise power consumption. Many systems are designed to be expandable, allowing more units to be added over time in a growing business or project. What are the benefits of VRF air conditioning? VRF systems are some of the most advanced air conditioners available. They offer distinct advantages over most other systems for larger buildings or projects. Save energy – VRF compressors feature DC inverters that control motor speeds and refrigerant flow with greater precision, allowing for partial load use. Because no ducting is used, VRF avoids the energy loss of ducted systems. Improve comfort – VRF systems continually monitor ambient conditions and adjust the refrigerant flow to maintain consistent temperatures. Total control – Each indoor unit has individual climate controls, offering precise control over internal temperatures in multiple areas. Many systems can be integrated with home automation and building management systems. Fully customisable – The modular design of VRF systems offers greater flexibility for buildings and projects of varying sizes. The system can be expanded when needed by adding more indoor units up to its maximum capacity. Ease of installation – VRF systems don’t necessarily need to use ducting, which makes them quicker and cheaper to install. Their modular design means they can be installed in stages as needed. Experts in all your Cooling and Heating needs.